When you purchase a doll like a teddy bear, you might find it necessary to create a birthday certificate templates for the doll or teddy bear to mark the day that it came into your life. This is common in ladies who have their pets and teddy as their best friends and treasure the fact that the pets have come into their lives. It’s okay for you to get your hopes up because Microsoft Word does have the options and utilities required for any user to make a birth certificate using the program application. Or if you wish to make it simpler and faster, just go through the compilation of birth certificate templates in MS Word format. Download, edit, and print! You can also see Microsoft. When a person or an organization asks for your birth certificate you will have to provide something more tangible for them to believe you. It is very important for everyone to have something that will remind them about the time something important came into their lives. The following are steps on how to create a birth certificate word for a teddy bear. Click “Office” button and select new then click blank document to launch a new Microsoft Word document or start button then select Microsoft word to open a document. Click on the “Office” button, and then click on new to open the template section. 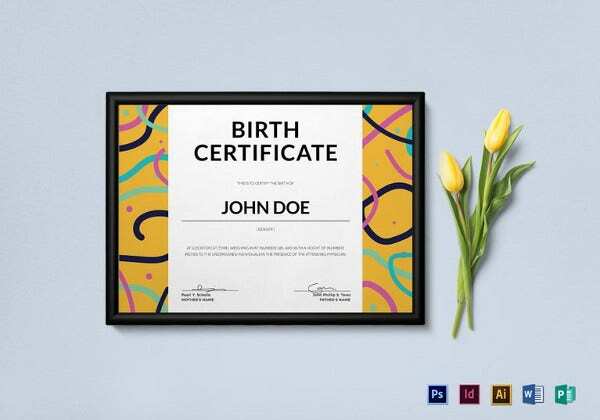 Type “certificate” and select your best birth certificate from the category. 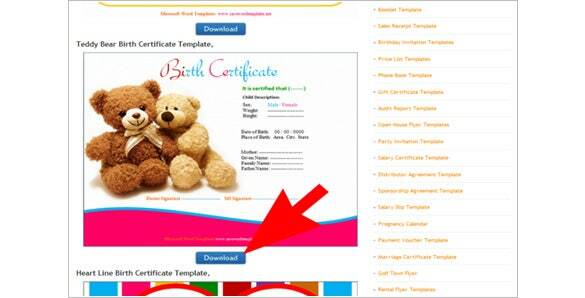 If none suits you, you can select “search online templates” to download a good birth certificate template for your birth certificate. Scroll through the templates to find the best. Once you get the best click “download” button. Once you click download on your template, it will be downloaded and loaded into your Word document. Review the certificate once it has been loaded to see whether there are any fields that need to be edited. Some of the most edited field is the date, weight, signature of the issuer, name of the owner, age and name of the parent. placeholder graphic that was originally included in the template and then select delete. This will have it removed from the certificate. Insert a custom graphic such as the picture of the pet. Do this by clicking “insert” tab, and the click picture button. Browse the pictures of the pet or teddy bear that you have saved on your laptop or desktop. You can add more pictures using the same process. Highlight the important fields by clicking on the home tab then select the various format options. You can choose to bold your birth certificate by selecting you the bold option on the menu. 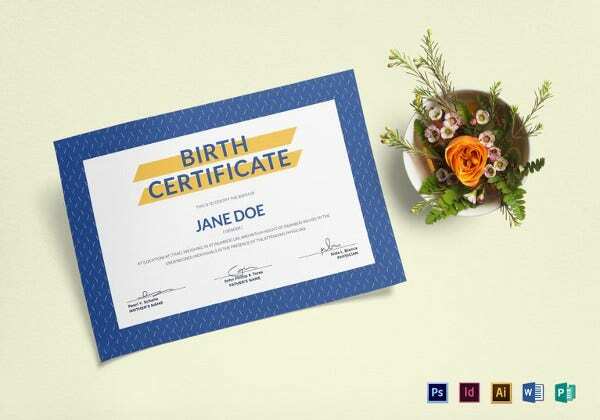 Before you print your birth certificate, check on the page color and page layout. To change the page background and page color, click on the page layout tab from the menu to open page options. Select a box of colors to give your birth certificate a color of your choice. If you are contented with the background color already in your birth certificate, skip this action. Click on the “Office” button one more time and choose “save” or “Save As”. 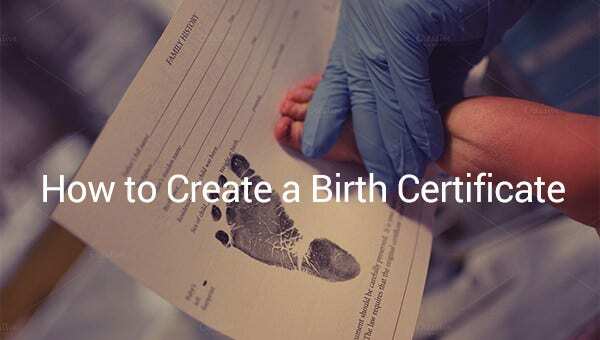 Choose the location where you want to save your birth certificate. Once you have the location selected, click “save” button to save the birth certificate button. To print your birth certificate, click on the file menu or press “cntrl+p”. You can select the printer you want to use or the number of copies you want to print.